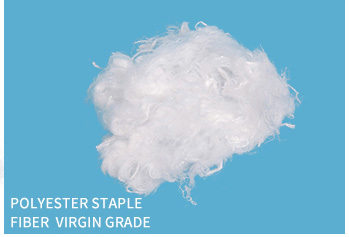 we have about 14 years experience in manufacturing the polyester staple fibers and tradings allover the world. we always focus on the quality control of our fibers and try to be the most suitable suppliers of the polyeser staple industry. 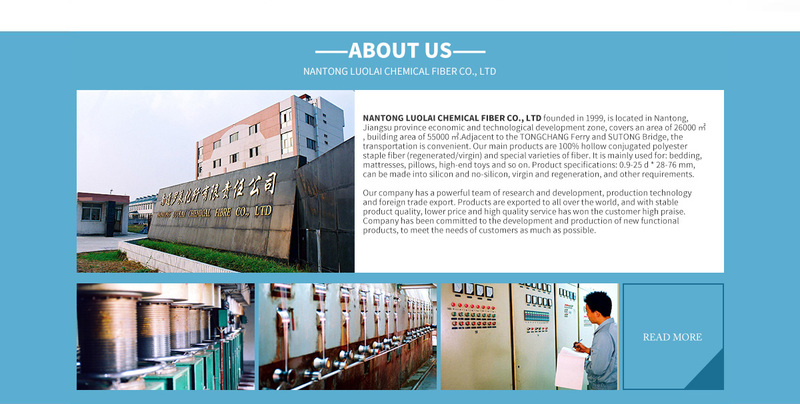 Founded in 1999, Nantong Luolai Chemical Fiber Co., Ltd. is one of the leading domestic companies in the field of chemical fibers. 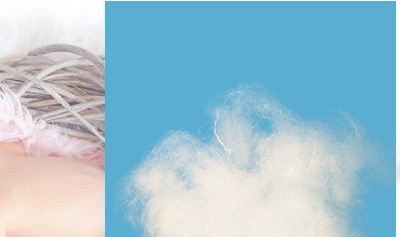 Luolai chemical fibers are broadly used in high-grade bedding, cushions, toys, furniture and other kinds of non-woven products.Thanks to the advanced production techniques introduced from Donghua University, we are able to produce many kinds of polyester staple fibers which are widely used for padding, non-woven products and as stuffing material. 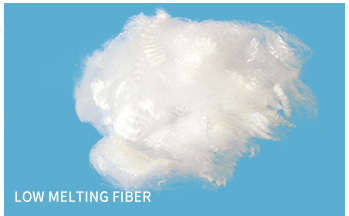 We mainly produce 100% polyester hollow conjugated fibers, low melting fibers, micro down-fill fibers, flame-retardant fibers and normal staple fibers. 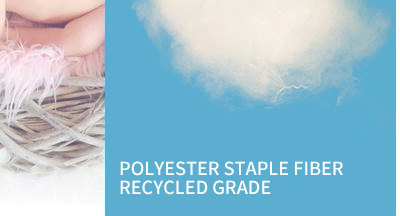 Equipped with 3 advanced production lines and about 200 skilled workers, we have an annual production capacity of 30,000 metric tons of polyester staple fibers.In addition to our chemical fibers, we are also a global supplier of recycled PET materials. We supply many manufacturers with high-grade recycled PET materials for industrial purposes.Every year at Luolai we invite many industry experts to come and visit our factory to help give advice on improving our production techniques and service standards. It is our goal to meet and exceed industry standards and provide total customer satisfaction.Ever since we set up our own international trade department, our team has ensured the 'Luolai' brand name enjoys a good reputation among our global buyers. 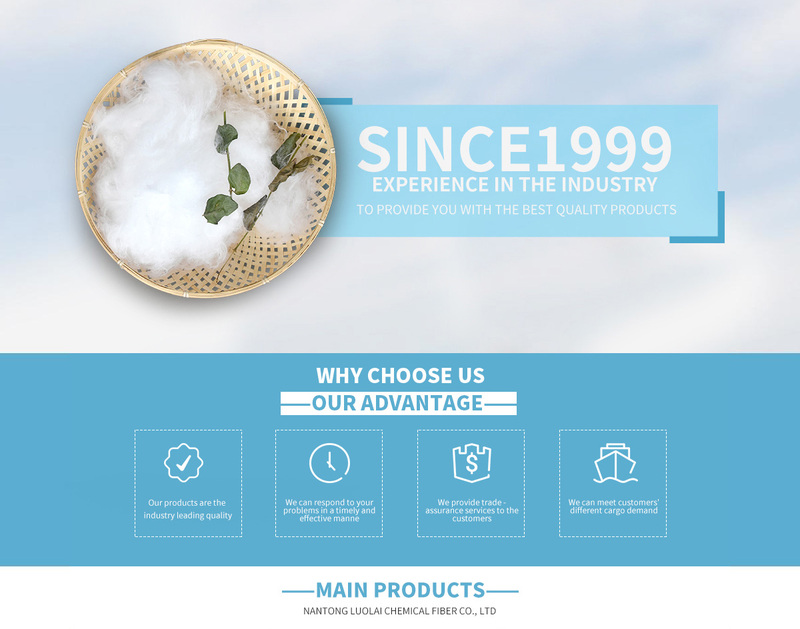 We are proud to say all our specifications are selling well in the American, European, Middle Eastern, and Asian markets.A pioneer in this field, we have accumulated much experience in all aspects of production, sales, and service of chemical fibers. 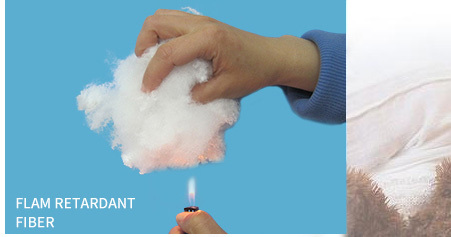 If you are interested in any of our products, please feel free to contact us for further information. We will always make every effort to provide our customers with the best products and professional service.